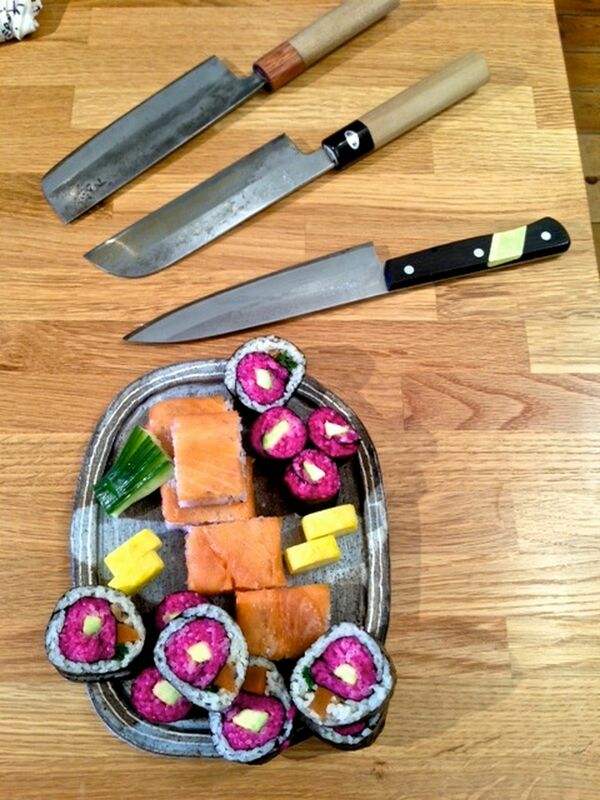 We had Japanese cook Teruko Chagrin round the other day, doing some nifty knife work with some Japanese food. 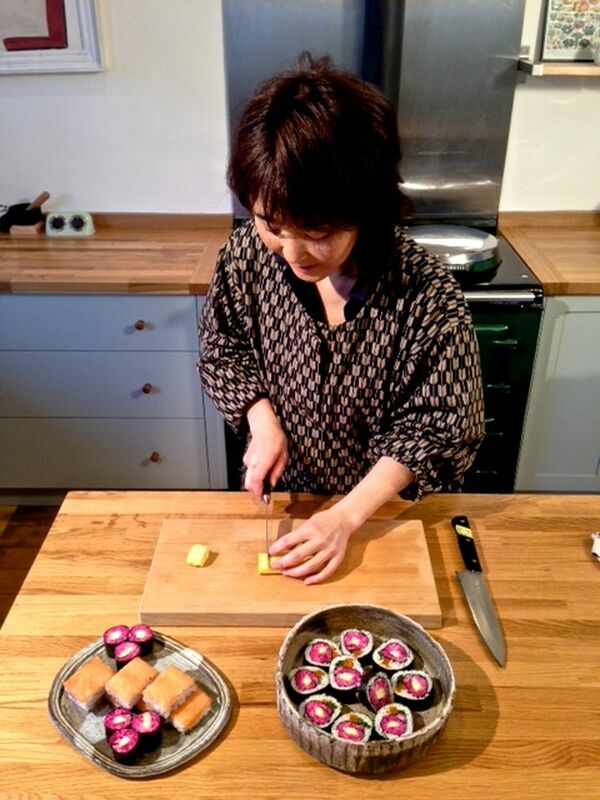 She had all sorts of tricks up her (lovely Japanese fabric) sleeves, including dying the rice pink with beetroot juuice to make seasonal camellia flower sushi rolls. Will Thom was taking the photos (not these ones - proper ones) http://www.willthom.com/ and potter Yo Thom made the serving plates.